There are many accounts in the Bible that really run along the edge of reality for many of us here today. 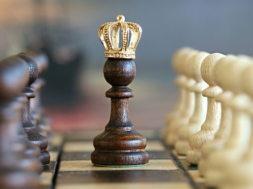 Think about it – Balaam’s donkey talks, the sun stands still for Joshua in a battle, Jesus rises from the dead and goes to heaven… These are fantastic and unbelievable to many. And then there is the story of Noah. Here is a man around 500 years old who builds a boat to save his family and the animals from a devastating flood! Now THAT is amazing! So, what is there about this story of Noah that rings true for us today? Is his experience a warning for us here and now? previous So, Where Should Our Moral Standards Come From? next Do We Take God's Name in Vain? 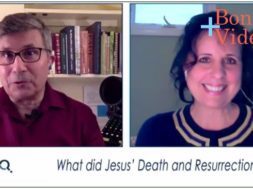 VIDEO: Bonus – What did Jesus’ Death and Resurrection Do? 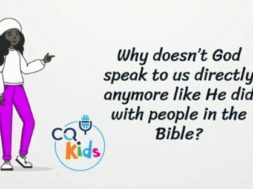 VIDEO: CQ Kids – Why Doesn’t God Speak Directly to Us Anymore? Had Noah left the ark too soon, he would have stepped into a quagmire of miry clay, mud and silt that would have sucked him down into a quicksand-like pit. Time was needed for the earth to dry enough to support even the weight of an elephant.